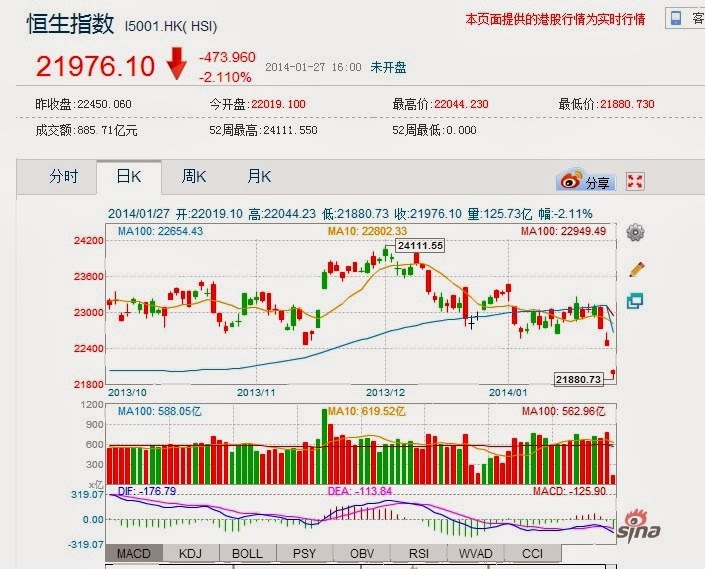 Daniel Loh: HSI set for a rebound between 21500-22000? Recently, HSI has been a good decline. Today it drops 400 plus points amid the Asian panic following DOW strong decline on Friday. However we do think HSI is set for a rebound in the area between 21500 - 22000. We did mention we would only take a look at HSI if it is below 22000 through our radio interviews. Our view is that it is the time to start accumulating HSI now by testing water. If it goes down to 21500, accumulate somemore. 21000 should be the lowest for HSI. We also believe that Shanghai composite pick up point continues to be 2000-2050! There is a chance that this panic might be over sooner than we think, especially for HSI and Shanghai. composite.